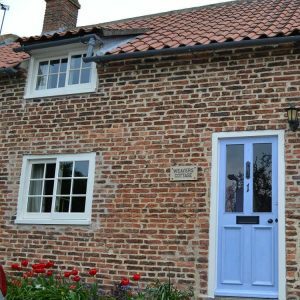 Home Blog Why choose timber windows and doors over uPVC? Why choose timber windows and doors over uPVC? When it comes to replacing your windows, you are bound to have done a bit of research, and have probably started getting calls from sales people about uPVC windows, started to see endless adverts appear on your social media accounts, and now seeing windows adverts appear on all your online searches. A buzz phrase at the moment is ‘fake news’, and plenty of marketing babble that you have probably been told by many misleading sales reps will contain fake news about timber. Therefore, it is important that we give you a few facts to dispel the many myths, or ‘fake news’ that you have probably heard about timber frames. 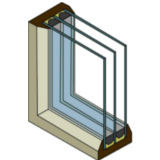 MYTH 1: You have to have uPVC windows if you want double-glazing! TRUTH: The truth is that with most reputable timber window manufacturers, you will be able to select either single or double-glazed units. At George Barnsdale, we also offer a triple glazed option. TRUTH: The truth is that in all tests conducted by the Wood Window Alliance, timber windows had a service life of twice that of their uPVC counterparts. TRUTH: With relatively minimal maintenance and care, wooden windows can last up to 60 years. In addition, if you want to change your style, they can be easily repainted to match your mood, unlike plastic windows. In fact, they actually work out less expensive over their lifespan than other materials. TRUTH: The quick answer is no! At George Barnsdale we have spent years researching the application of timber coatings and have found that the type of coating and how this is applied significantly contributes to the longevity of any timber window or door. 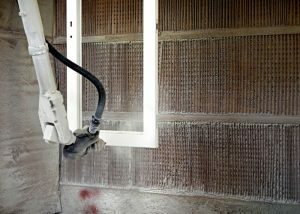 We are particularly confident in our technique, and by applying our coatings in such a precise way we are able to derive maximum performance. In fact, we are so confident that we provide as standard, a 10-year guarantee on paint and 7 years for stain finishes. TRUTH: This is a particular myth we hear on a regular basis at George Barnsdale. The truth is that plastic degrades, especially with exposure to the sun. They discolour, and can become brittle and unlike wood framed windows, they can’t be repaired. In fact, with simple maintenance and repainting of wood windows, their lifespan will extend. But isn’t redecorating and changing the colour complicated? MYTH 6: Redecorating wood windows is hard work. TRUTH: As with before, all our windows and doors come ready-painted from the factory so they won’t need redecorating for at least 8-10 years. When it finally does come to the stage where you will need to redecorate, it’s such an easy job that you won’t even mind! All it takes is a light sand down, wipe clean and one or possibly two top coats. As it’s only the faces of the windows that get weathered, you won’t need to worry about the tricky bits either. TRUTH: This is only true if you are replacing old uPVC windows that need replacing. In fact, replacing wood for uPVC can actually devalue your property, especially if you live in a period home, or in a conservation area. In a national survey conducted by English Heritage of estate agents it was found that unsympathetic replacement of windows and doors was the single biggest threat to property values in conservation areas. In addition, if your home is a listed property then you will have no option than to replace the windows with timber as conservation agencies want to save our heritage with the natural beauty of wood. TRUTH: Wood has a very low thermal conductivity, which means it is a good insulator. However, the energy efficiency of a window actually has little to do with the frame material, and is mostly affected by the specification of the glazing unit, so well-designed windows have similar thermal efficiencies across the board, whatever material the frames are made from. TRUTH: Security is intrinsic to our design approach. All our windows are fitted with multiple locking points as standard and we comply with the challenging new security standards of PAS 24/Part Q building regulations. 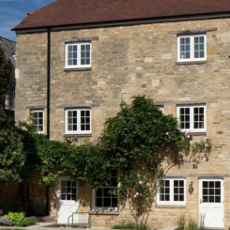 Good for the environment – Timber windows are more eco-friendly when using FSC certified timber, read our last blog ‘why are timber windows so much better for the environment’ to learn more about their eco-friendly windows.